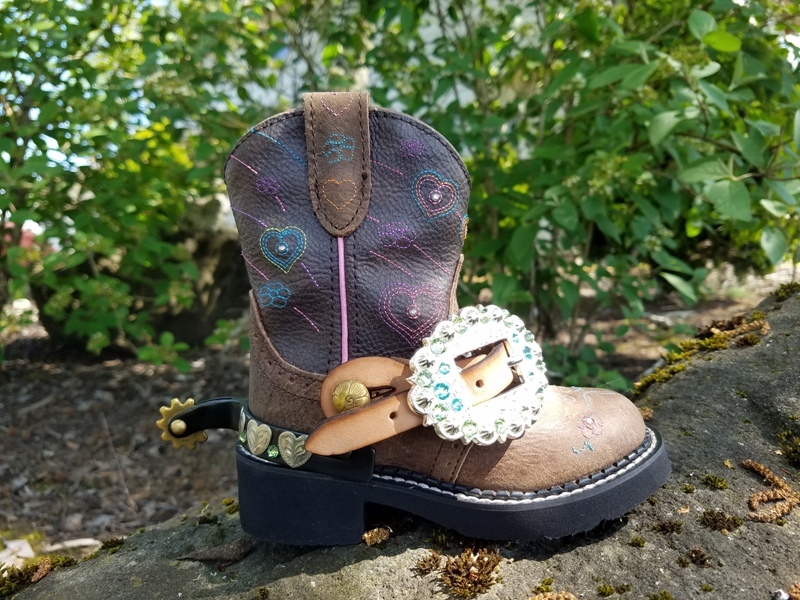 Jozee Girl Designs Custom Crystal Tack, Jewelry & Accessories - Barrel Stirrups with Crystal Concho and Inset Crystals ~ Choose your colors! New style! 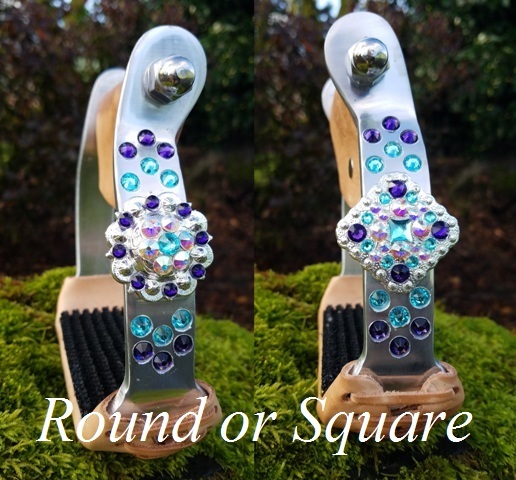 Barrel Stirrups with Large Crystal Concho. 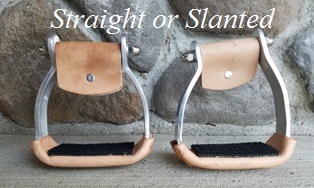 Available in your choice of Round or Square Concho and Slanted or Straight Stirrups. Choose your Swarovski Crystal Colors! Example shows Color 1: Light Teal and Color 2: Purple Velvet. 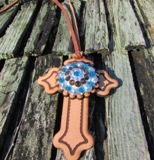 Saddle Cross with Beautiful Crystal Concho ~ Choose your colors! 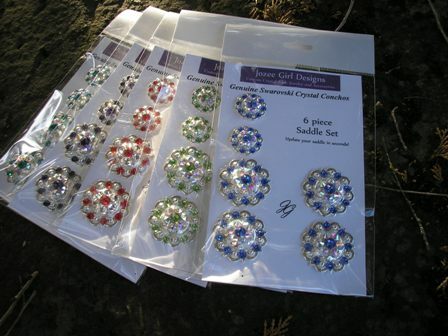 Saddle Concho Set ~ 6 Piece Set! 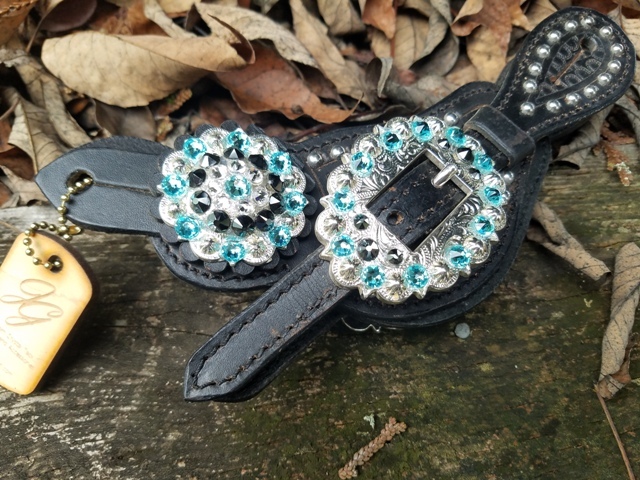 Clearance Spur Straps ~ Black Leather ~ Light Teal ~ Save $20!